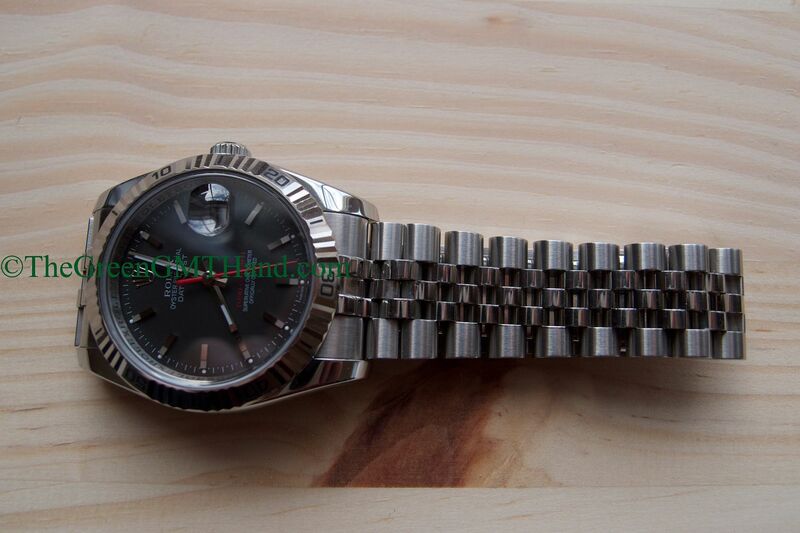 This D serial Rolex 116264 Turn O Graph is a very unique Datejust variant that was discontinued by Rolex in 2012. 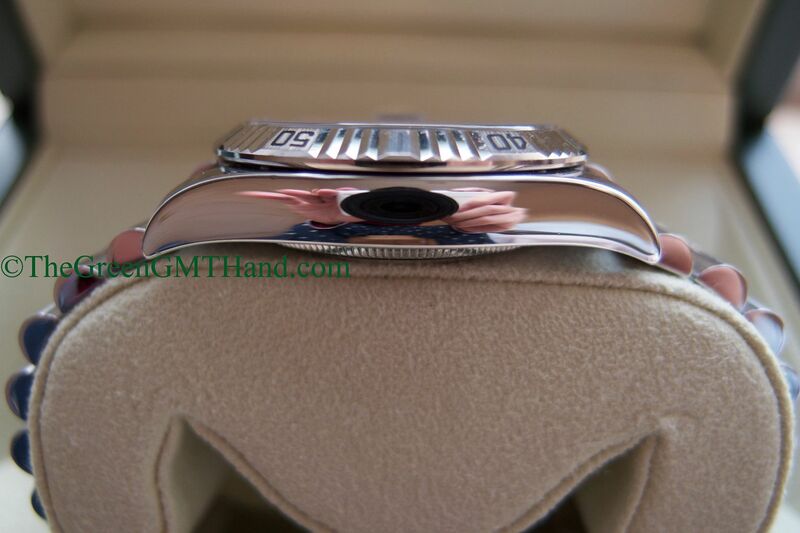 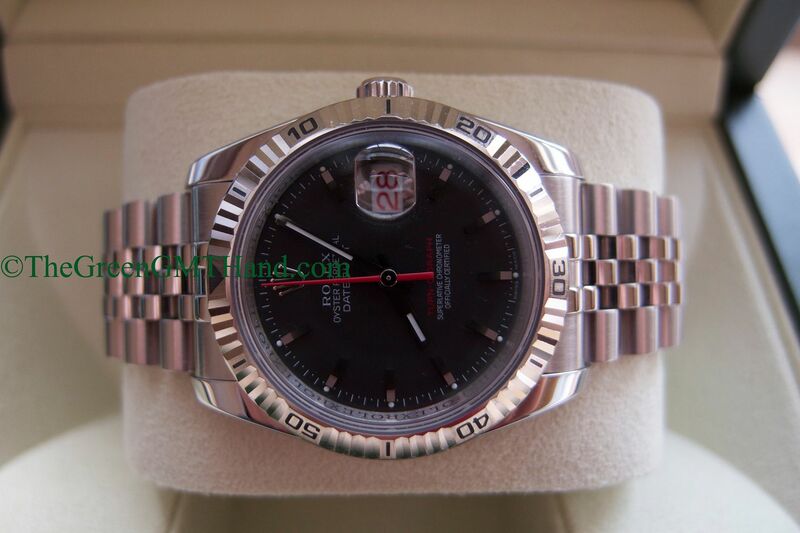 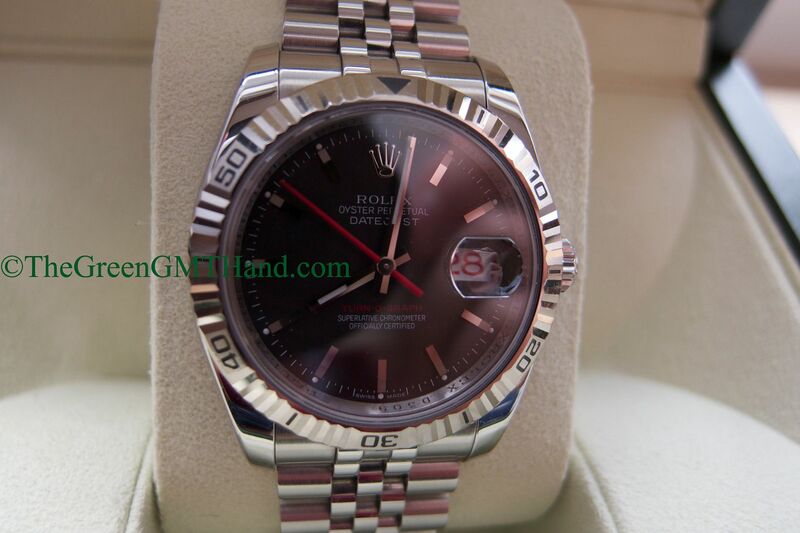 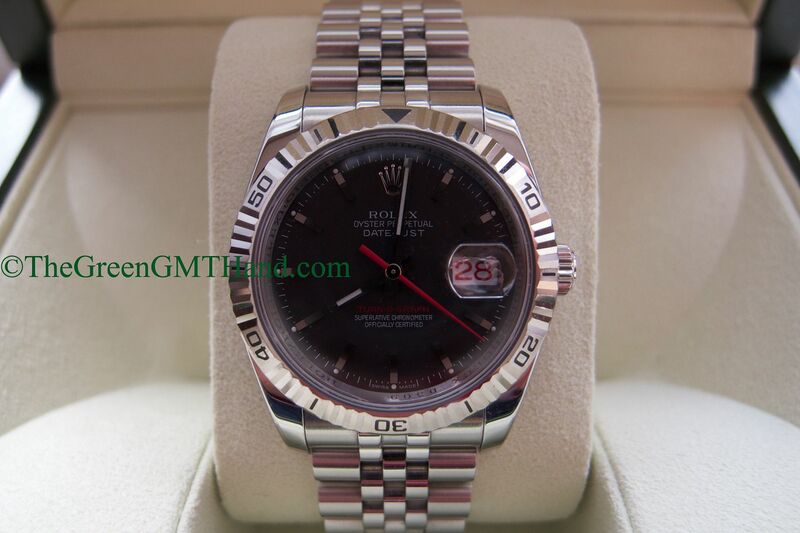 At 36mm, it is the same size as the 36mm Rolex Datejust 116200 smooth bezel or 116234 white gold bezel Datejust. 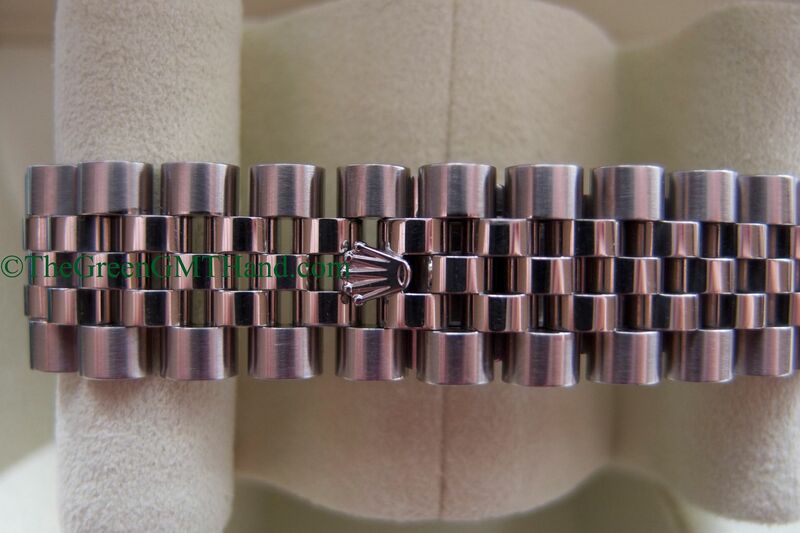 However, the rotating white gold bezel on this Turn O Graph gives it the largest appearance profile on the wrist among all 36mm Datejusts. 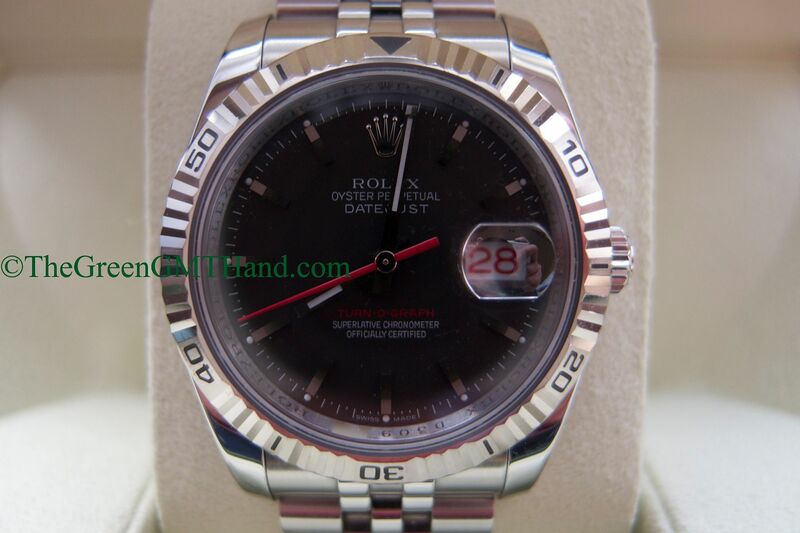 The datewheel is an all red design: both odd and even days are in red. 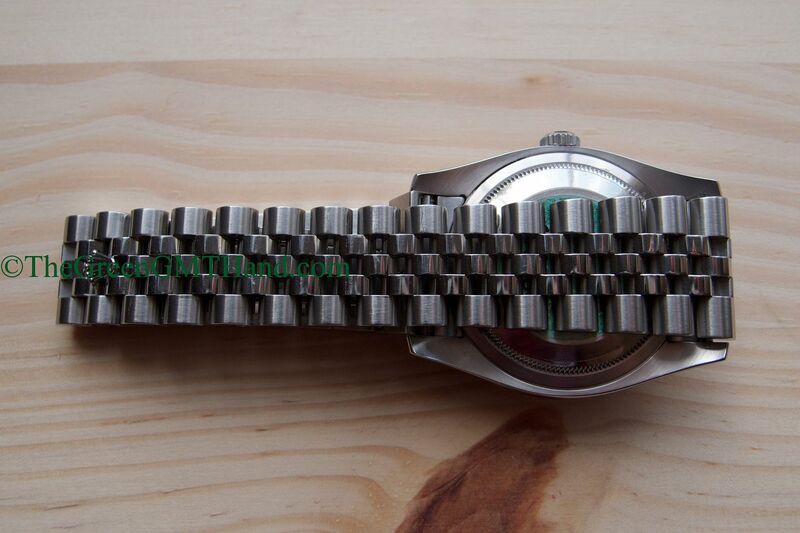 This Datejust Turn O Graph has the same 3135 movement found in the Sea Dweller 16600 and Submariner 16610. 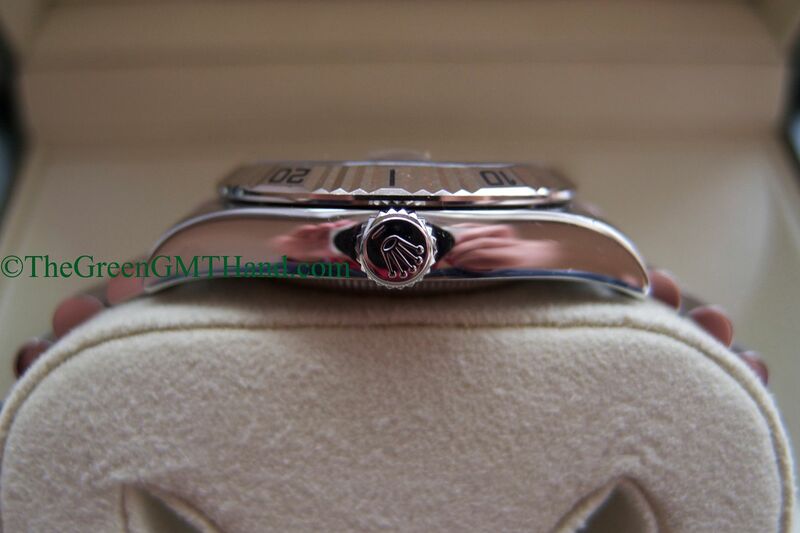 As seen in the photos, this Datejust TOG features engraved rehault, which began in the F series in 2003/2004. 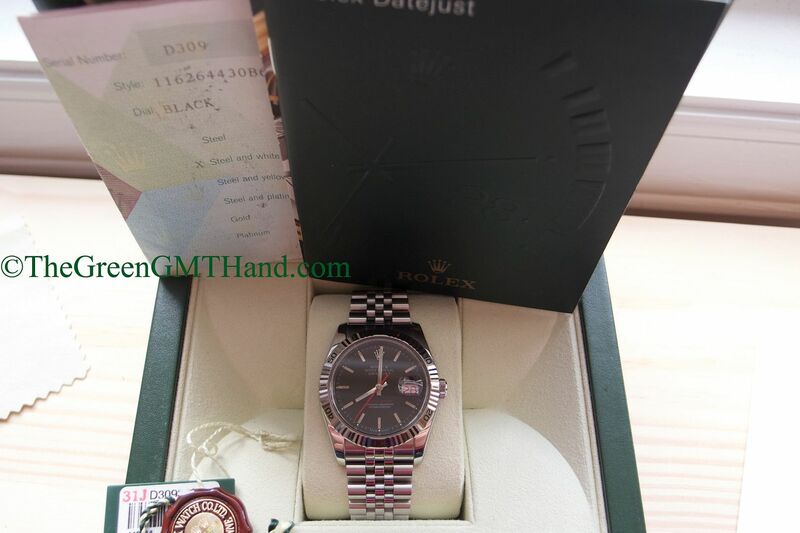 It is one of the most unique Rolex Datejust models ever made, and shares a very closely intertwined history with the oldest Submariners dating back to the earliest days of the Rolex company timeline. 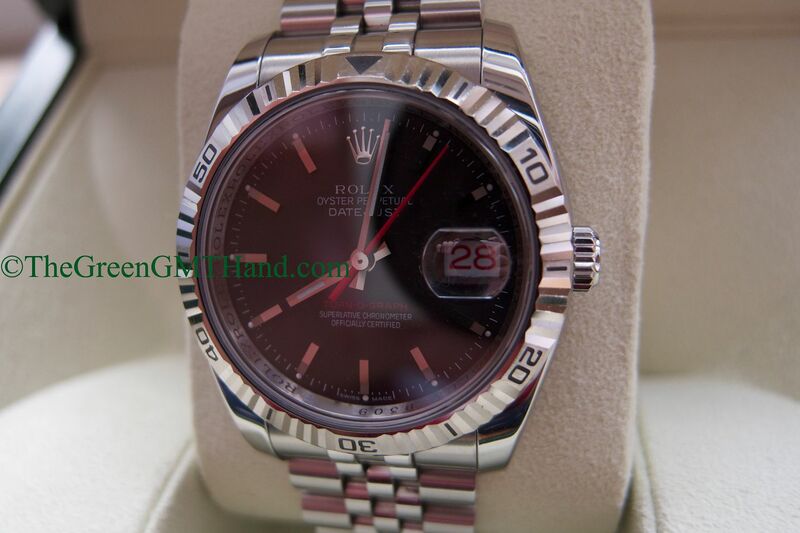 SOLD and delivered to our buyer as a complete set with original boxes, warranty certificate, manuals, and both tags.